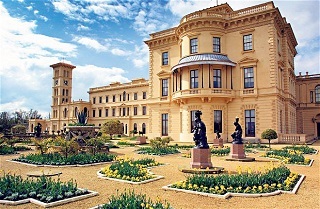 There are many places to visit here on the Isle of Wight and so to help you on your way to filling your stay on the Island with fun, we have selected a few great places to visit for all the family to enjoy. Below is a snapshot of what is on offer as there is far too much to detail here and we would not want the fun taken out of the exploring you can do by telling you. 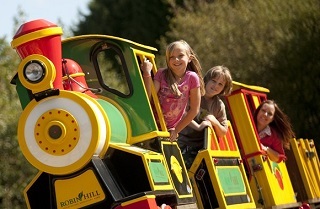 Robin Hill is a destination for visitors of all ages looking for outdoor fun, adventure and great family experiences. Set in 88 acres of beautiful countryside, the place boasts a whole day of entertainment and more. With great falconry displays from one of the UK’s most experienced falconry teams, and adventure play for fun loving families and children, plus relaxing woodland gardens, ponds and walks for discerning adults to enjoy. The Isle of Wight Zoo is a family-run zoo with a special interest in tigers and lemurs. Isle of Wight Zoo Tours run every day, including big cat feeding presentations, while younger children will love making new friends during small animal handling sessions. The Isle of Wight Zoo boasts one of Britain’s largest collection of Tiger’s and a whole range of other big cats such as Lions and Jaguars. A warm, friendly atmosphere awaits you and creates the perfect environment for getting to know a range of individual animals – Zena the white tiger is worth the visit alone. The Islands most famous landmark attraction has so much more to enjoy than the stunning views it is a destination not to be missed. 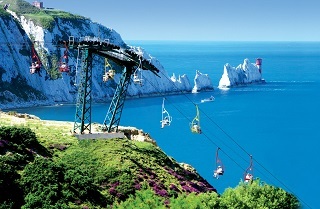 The range of attractions includes the iconic and spectacular chairlift ride to the beach and the sand cliffs. At the sand shop visitors can make their own unique coloured sand souvenir. At the IW Sweet manufactory you can watch skilled sweet makers create sweets that you will not find anywhere else. At Alum Bay Glass it is educational as well as fun. Visitors can watch the fascinating art of glass blowing and see craftsmen make a variety of crafted glassware. The Pier Head Shopping Emporium at The Needles is where you can find an interesting range of souvenirs to suit all budgets and tastes. Getting mobbed by Wallabies and ducks might send some people running but animal enthusiasts will be in seventh heaven – in absolute style – at this multi-award winning Isle of Wight attraction. Situated in stunning parkland setting overlooking the sea, the Seaview Wildlife Encounter offers visitors a warm and friendly interactive wildlife experience and has a great gift shop for that special souvenir. The amazing Seaview Wildlife Keeper team deliver nine daily hands-on feeding presentations where guests can get up-close and personal with a vast array of tame and exotic feathered and furry friends including 3 different species of flamingos. 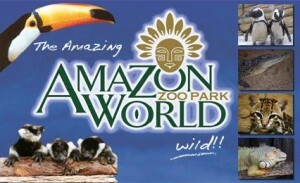 Amazon World Zoo Park is the Isle of Wight’s largest exotic animal attraction and is a great day out whatever your age. See unusual and rare animals like the Toucans, Marmosets, Penguins, Flamingos, Otters, Monkeys and many more. Learn about the conservation of these fantastic animals and their rainforest home, ‘Secrets of Xenathra’ with Sloth just wandering past you in the trees. There are also Falconry Displays and Keeper Talks daily. Arreton Barns has a real-ale pub, a 12th Century church, duck pond, village green, numerous craft rooms, a glass works, farm shop, sweet shop and leather works centre. Exhibitions, demonstrations, real ale festivals, harvest events and auctions are also regularly held. The pretty and extensive grounds are a must see along with the private apartments including the Queen’s bedroom, nursery rooms and royal bathrooms. Take a stroll through the garden terraces where the stunning views across the Solent reminded Prince Albert of the Bay of Naples. Let your imagination run wild as you venture on a journey of discovery as Blackgang Chine offers an enchanting experience like no other, fighting pirates on-board your own ship, discovering life size moving dinosaurs and escaping from danger, being a sheriff of your own town, rounding up the outlaws and locking ’em up – or experiencing the magic of being fairy princess of your own castle. Filled with an eclectic mix of attractions, magical theme worlds and exciting rides – waterforce water slides, cliff hanger roller coaster and pirate barrel ride – you’ll find adventures around every corner, something for all the family. 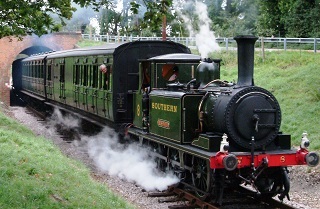 Popular with both adults and children as a casual visitor or as a family outing, your visit to The Isle of Wight Steam Railway will charm and captivate, leaving you with some lasting memories of a great day out. The Isle of Wight Steam Railway offers fully licensed Refreshment Rooms, and you can browse for books, gifts, toys, DVDs and other mementoes from the Railway’s Gift and Model Shop. There’s lots of fun for everyone at Monkey Haven. It is home for whooping gibbons, cheeky capuchins, birds of prey and many more exotic creatures. Monkeys and other animals in need are cared for in this lovely sanctuary outside Newport. Monkey Haven is a Gold Award winning attraction, with plenty for you to see and do. You will have a fantastic time, and there’s always something new and exciting going on around. There are also the daily keeper talk and animal feeds to look forward to, as well as enjoying the play areas and tea room. Ventnor Botanic Garden lies at the heart of a remarkable microclimate whilst being protected by the chalk downs of the Ventnor Undercliff. VBG boasts an impressive collection of rare, subtropical and exotic plants. All ages and generations of the family can spend quality time together exploring or relaxing in the beauty and tranquillity of the Garden or perhaps join one of the Guided Tours, led by VBG Volunteers departing daily. Visit the Tropical House and be transported to the rainforest, take a walk along the secret tunnel to the sea or step off of the pathways to discover secret places and see the rare and exotic plants at their best. An Elizabethan artillery fortress, a king’s prison and a royal summer residence, here you’ll find loveable donkeys, a fascinating museum and an Edwardian garden. Experience hundreds of years of history with our entertaining events, and be a knight or princess for a day within the high castle walls. Famous as a royal prison to Charles I, it is now the location of the stunning new Edwardian-style Princess Beatrice Garden. 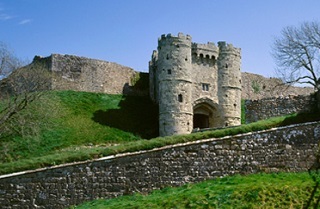 Enjoy the birds-eye view from the castle keep and walk around the battlements or perhaps delight in the demonstrations of the donkeys working the 16th century treadwheel or perhaps dress up as a soldier, experiment with armour and discover how to fire cannons. Rosemary Vineyard is one of the largest producers of English Wine. Set in 30 acres it is ideally placed to make the most of the mild Island climate. All English wine, liqueurs, juices and ciders are made on the estate from grapes and apples grown on the estate. It is a beautiful place to relax and enjoy a taste of the good life in this peaceful setting. Whatever your tipple there’s something for everyone; from full-bodied English red wines, ciders and bottle fermented sparkling wines to liqueurs, country wines and refreshing apple juice. The winery is available throughout the year for you to browse round, and get a detailed understanding of the different equipment that is used for the wine making process. Also, Wine Tours are available, meaning you can book in for a lunch and free wine tasting. Tours are also available in the evening (subject to availability). Isle of Wight Pearl houses the largest collection of pearl jewellery in the UK. With over 20 years’ experience in the pearl industry, Isle of Wight Pearl are the pearl specialists and a great visit during your stay. Set in a beautiful location overlooking the Isle of Wight’s southern coastline, this popular family attraction is your introduction to the shimmering world of pearls. You can explore how pearls are cultured and browse the shop to buy a piece of jewellery as a souvenir of your visit to the Island. The Pearl Café with its panoramic sea views offers homemade cakes, light lunches and cream teas. Be sure to visit ‘Pick a Pearl’ where you can select an oyster from the pool and watch it opened to reveal a genuine cultured pearl which you can keep as is or have it made into a piece of jewellery. 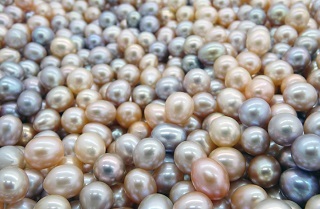 Pearl Masterclass – Discover the many different types of pearls and how they are created, cultured and transformed into jewellery.